Cause of Death: Complications from multiple health issues. Survived By: She is survived by her daughters, Stephanie Otte and Christy (Dave) Stergar; sisters, Cheri Galt, Jacque Jauss and Alyson Borth (Frank Benecke); brothers Mitch (Lori) Borth and Steve (Sandra) Borth; and many much loved nieces, nephews, and great-nieces. Maureen "Reeni" Esther Otte, 63, passed away unexpectedly on Nov. 13, 2012, after a very long and courageous fight to overcome multiple health issues. Reeni spent her last days with her daughters and family by her side. She was a devoted mother, loving sister, and proud aunt, and we are heartbroken at her passing. Reeni was born on April 29, 1949, in New Rockford, N.D., to Fred and Marjorie Borth. The second of six children, her early years were spent in New Rockford and Barnesville, Minn. 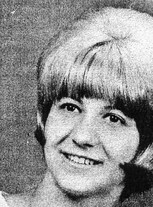 The family moved to Billings in 1965, and she graduated from Billings West High in 1968. She married Gary Otte in 1972, and together they moved to Price, Utah, and Denver, Colo. They later divorced, and Reeni returned to Billings to be closer to family as she raised her daughters, Stephanie and Christy. She was working woman before it was fashionable and proud of raising her daughters as a single mom. From then on, she always worked in offices and was helping to manage a small office at the time of her death.